Misconceptions about the quality control industry are common, particularly when it comes to managing product quality in China. Many importers assume they need to check every piece of every SKU in a lot before shipping an order. 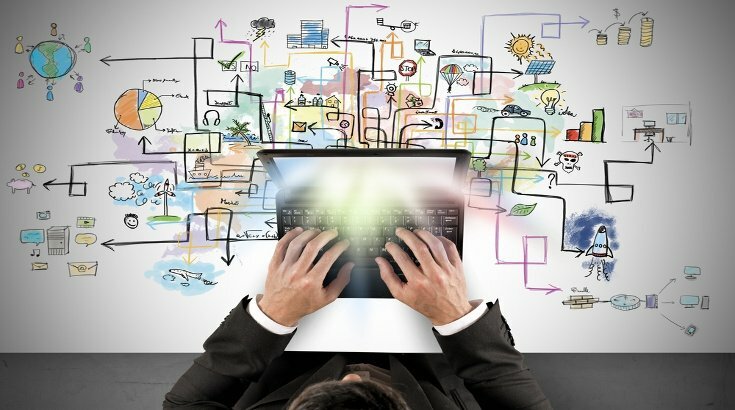 Checking 100 percent of an order is sometimes necessary for certain buyers and high-value products. But inspecting a random sample of the order tends to be more cost effective for many consumer goods importers. Most importers lack formal training in the necessary statistical models needed to determine appropriate sample sizes. But there’s one QC sampling framework that’s easy to use and doesn’t require much background knowledge—acceptable quality levels, also called acceptable quality limits (AQL). AQL sampling helps you determine whether to accept or reject an order based on the number of defects found in the sample size (related: The Importer's Guide to Managing Product Quality with AQL [eBook]). Let’s break down how to determine an appropriate sample size for your order using three different AQL inspection levels. AQL is based on acceptance sampling, a statistical QC sampling method for determining whether to accept or reject a production lot based on a representative sample size. AQL is basically defined as the lowest or worst quality level, or limit, that is acceptable in an order of goods. This is generally measured in quality defects found, or pieces found with quality defects, in the inspected sample size. And this ratio of defects found per total sample size helps determine whether the order passes or fails inspection. Inspecting too few pieces to accurately assess the total order. You risk discovering only after receiving the total shipment at your warehouse that there are more defects than you anticipated based on the inspection result. Inspecting too many pieces than necessary to accurately assess the total order. This can raise your QC costs and delay production or shipping. 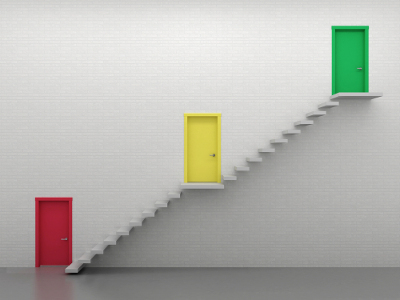 Which AQL standard is best for you? The most common AQL standard for the consumer goods industry is ANSI-ASQ Z.14. ANSI-ASQ Z.14 was developed by the American National Standards Institute (ANSI) and the American Society for Quality (ASQ). 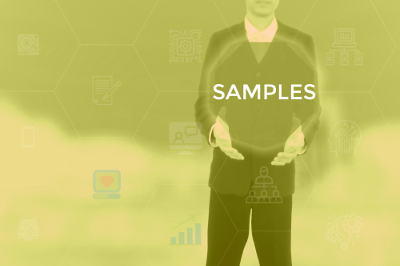 Knowing these empowers you to make an informed decision to accept or reject the entire lot based on the results of inspecting a sample (related: How AQL Sampling Affects Your Product Inspection Results). But how large should your sample size be? The AQL table outlines several different sample sizes, which vary slightly in size and risk. While all the sample sizes are statistically valid, some will provide more insight into order quality than others. It’s up to you to select your desired sample size based on your appetite for risk. How do you know which sample size best matches your order, budget and appetite for risk? 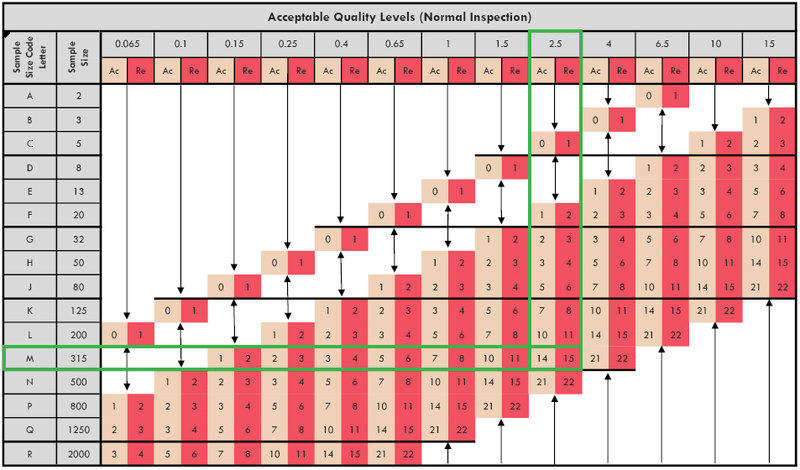 Let’s take a closer look at the AQL inspection levels. What are the three AQL general inspection levels? There are three general AQL inspection levels: “GI”, “GII” and “GIII”. Each indicate sample sizes for a non-destructive inspection. The inspector generally inspects the entire sample size for quality issues related to performance, function and visual appearance. Any quality defects found during inspection contribute to the overall “pass” or “fail” result. You can find GI, GII and GIII sample sizes for your lot size in the AQL table. This first part of the AQL table helps you determine your AQL inspection level and sample size. We’ll explain later how the second part of the table helps you determine how many defects you should accept in the sample size. Higher inspection levels generally correspond to larger sample sizes, with GIII being the highest. For example, let’s consider a lot size of 5,000 pieces, represented in the table below within the range 3,201 to 10,000. The three inspection levels each result in a different sample size, denoted by a different letter—“J”, “L” and “M” in this case. These letters correspond to three different sample sizes—80, 200 and 315 pieces, respectively, as shown in the second part of the AQL chart below. If you’re working with a third-party inspection company, they can likely offer you a few different options for inspection based on these general inspection levels. They might provide a table like the one below, for example. As you can see, the general inspection level you choose can affect the time and resources needed to inspect. Let’s explore each of these inspection levels closer to help you determine the one most suitable for your order. GI inspection level offers the smallest sample sizes of the three general inspection levels. Considered the “budget option”, GI may be your best option if you’re particularly short on time or money. Using the 5,000-piece lot size above, let’s say you choose the GI sample size of J, or 80 pieces. This sample size then also influences the number of defects you can accept in your order. To determine your accept and reject points, you must first set your acceptable quality levels for each defect type (related: 3 Types of Quality Defects in Different Products). Just as your tolerance for defects can vary by the severity of each defect, so too should your acceptable quality level for each. Many importers set acceptable quality levels of 4 or lower for “minor” defects for consumer goods. You might similarly choose an AQL of 2.5 for “major” and 0 for “critical” defects, indicating a lower tolerance for these more severe defects. Let’s say you choose an AQL of 2.5 for major defects in our current example. You would then have an accept point of 5 defects and a reject point of 6 defects in the inspected sample of 80 pieces. You can raise or lower your acceptable quality levels based on your tolerance for quality defects. Remember, the higher your acceptable quality level, the higher your tolerance for quality defects in your order. 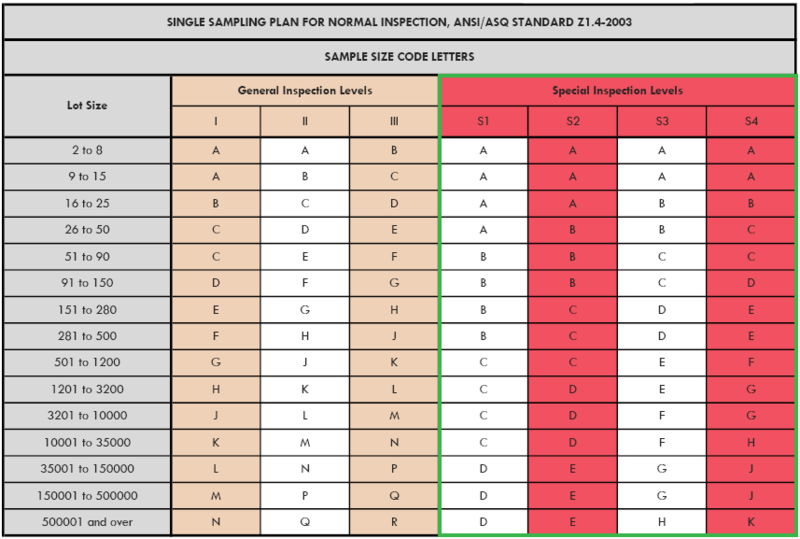 Inspection companies sometimes refer to the GII AQL inspection level as a “normal” sample size. GII is the inspection level importers most often choose, as GII achieves wider coverage scope with relatively low cost. GII inspection level is often especially fitting for the first inspection of a lot. 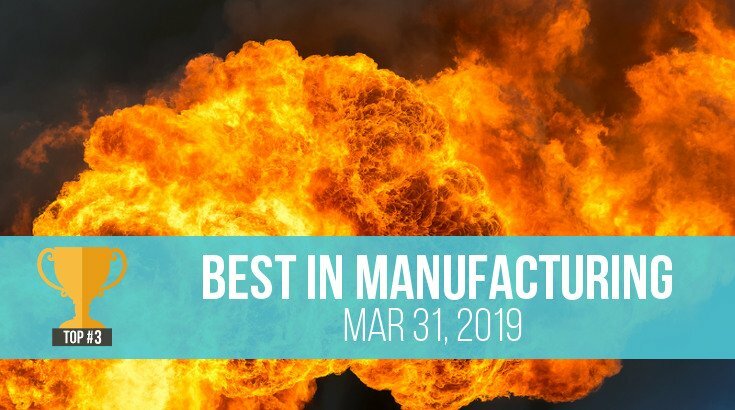 Seeing these first results can help you determine if GII is still suitable going forward, or if you should raise or lower your inspection level. Now let’s look at how a GII sample size of L, or 200 pieces, would influence the accept and reject points for your order of 5,000 pieces. The accept and reject points generally increase with the sample size, assuming your acceptable quality levels stay the same. So with an AQL of 2.5, your accept point increases to 10 defects, and your reject point increases to 11 defects. The GIII inspection level provides the largest sample size for your lot out of the three AQL inspection levels. Compared to the GI sample size of 80 units for a 5,000-piece lot size, the GIII sample size is nearly four times as large—315 pieces. This general inspection level offers the largest scope and greatest assurance of order status and quality with acceptance sampling. Thus, GIII minimizes your risk of unknowingly accepting a shipment with a higher portion of defective pieces than found during inspection. Returning to your 5,000-piece lot size, a GIII sample size of 315 pieces would lead to an accept point of 14 defects and a reject point of 15 defects. Some importers might find this inspection level cost prohibitive, as it will take the inspector more time to check more goods. 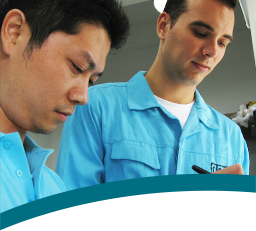 Carefully consider the factory’s quality history, available inspection manpower and QC budget when determining whether to use the GIII inspection level for your order. How do AQL inspection levels compare to 100 percent inspection? Some importers go even farther than the GIII inspection level and instead conduct a 100 percent inspection. A 100 percent inspection might be cost prohibitive for importers, especially those hiring a third party for inspection. Considering the 5000-piece lot size above, multiple inspectors may need several days to check the entire order against your requirements. A 100 percent inspection is more reasonable for smaller orders. In fact, the ANSI/ASQ Z.14 standard indicates performing a 100 percent inspection if the AQL sample size equals, or exceeds, your lot size. Your supplier should also always conduct 100 percent inspection themselves before an independent inspector checks the goods a second time. This 100 percent inspection allows the supplier the opportunity to proactively find and address any defects ahead of the shipment date. But factory QC staff rarely apply statistical QC sampling methods, nor will they typically provide you a detailed inspection report. This is why many importers choose to employ in-house or third-party QC teams to conduct inspection using AQL sampling before shipping. 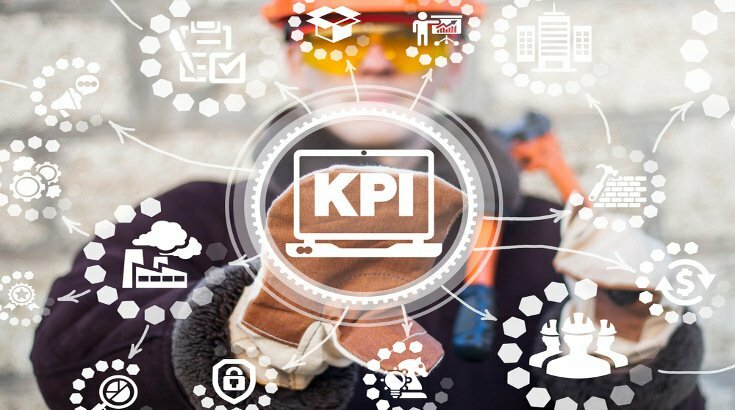 When should you use special inspection levels instead? Special inspection levels are organized similarly to general inspection levels in the AQL chart. And like general inspection levels, their sample sizes are determined by the lot size and range from small (“S1”) to large (“S4”). The main difference between general and special inspection levels is that special inspection levels generally point to much smaller sample sizes. The typical sample size for a special inspection level is just a handful of pieces. Other inspection checks that are evaluated on a simple “conforming” or “nonconforming” basis, like packaging requirements and measurements, also tend to influence the overall inspection result. Always consider these checks in addition to the AQL result when determining whether to approve a shipment. You may want to consult a professional, third-party inspection provider if you’re unsure which inspection level to use for your order. They should be able to help you determine the most efficient, but valuable, inspection scope for your order based on which checkpoints and quality issues are most important to you. Some buyers mistakenly think they need to verify the quality of every piece in a lot before shipment. And inspecting more goods can provide more transparency. But you can often gather enough information from a smaller, random sample to make an informed decision about the whole order. Your decision to use one QC sampling method or sample size over another for inspection will depend on your unique circumstances. Carefully consider your budget, product type and history with your supplier when determining the most suitable AQL inspection levels for your order. And remember, managing product quality is an ongoing process. Don’t be afraid to adjust your acceptable quality levels throughout your relationship with your supplier to better fit your changing needs and circumstances. Learn more about how to select an appropriate sample size for quality control inspection in our eBook below!